The successful launch and sales of Galaxy S8 and Galaxy S8+ smartphones seems to have boosted Samsung's confidence as the company has now been tipped to launch its Galaxy Note 8 smartphone around mid-August. Separately, the details about the dual rear camera setup on the smartphone have also been leaked. 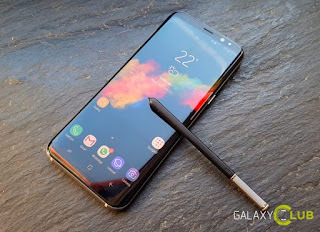 First talking about the tipped launch timeline, as per a report by South Korean publication The Bell, the South Korean conglomerate is said to be launching the upcoming Galaxy Note 8 flagship ahead of IFA event in September, which was earlier the launching ground for Note series smartphones until last year's Galaxy Note 7. Notably, the company was earlier expected to delay the launch of its upcoming Note flagship as rushing the launch of Galaxy Note 7 last year resulted in faulty batteries that caused explosion cases associated with the smartphone. The company has reportedly kept the same timeline for launch as last year to get a headstart ahead of iPhone 8 launch. As Apple might have a few tricks up its sleeves at the launch event this year, this cannot be termed as a bad move. Moving to the leak about Galaxy Note 8's dual camera setup, a Weibo tipster has suggested that the smartphone will feature two 13-megapixel sensors at the back, as pointed out in a report by Phones Daily. Further, the tipster has mentioned that the company is working on three different dual camera modules. While Samsung Galaxy C10 has already been spotted featuring dual camera setup in different renders, we might have to wait to figure out the reference of the third dual camera setup.